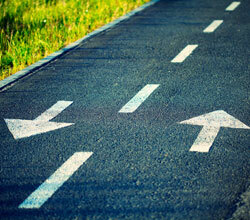 Non 12 step drug rehab options. There are countless rehab options available, so it is understandable if you feel overwhelmed. If you start doing a bit more research, you will quickly find that there is an increasing large group of recovery professionals who support alternative recovery options. 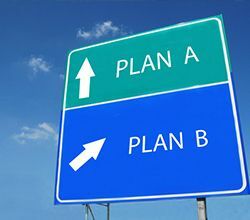 When faced with the choice whether to enroll in an alternative non-traditional program or traditional 12-step program, what are the major benefits of opting for the newer, alternative treatment? Is there a major difference in overall success rate? Is there a difference in approach? What should you expect? 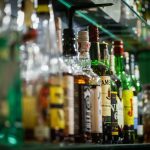 Perhaps the largest difference that we come across between the two approaches is the fact that the 12-step program sees the dependence on drugs or alcohol as ‘the primary problem’. This means that according to the traditional approach, the problem stems forth from addiction. Address that issue and the patient should start recovering. Meanwhile, the non-traditional treatment options look at recovery in a different light. They believe that dependence plays an important role in the issue, but there are also underlying issues that have to be addressed. The big difference is the perception of what actually constitutes ‘treatment’. We will try to elaborate the difference by giving you a (simplified) medical analogy. If you happened to fall and break your ankle, you would likely head to the doctor. You might be surprised if your doctor refused to look at the ankle, did not tape it or do an X-ray, but rather just gave you a few prescription painkillers to make you feel more comfortable with a broken ankle. You would likely want your physician to look at the ankle, determine the fracture and make sure that the bone would heal properly. Both instances deal with the immediate problem (i.e. intense pain caused by a broken ankle) but only one of the two would ultimately address the underlying issue. The same goes for treating the dependence on illicit substances, you cannot hope to provide long-term change without addressing underlying causes. However, the underlying approach is not the only thing that is different in non-traditional programs. The twelve-step approach emphasizes the need for a Higher Power and promotes the acceptance of subjection to addiction. When you hear that, you may ask yourself “Where does personal responsibility factor in here?” The truth is that accepting that you are powerless means taking personal responsibility out of the equation. Because you are suggesting, “It is not up to me whether I succeed or not”. Meanwhile, the non-traditional facilities do the exact opposite. They try to find ways to empower the client, to let them know that if they ever want to make a change in their lives, it has to come from them – no one else can do it for them. By offering change, help and support, it means that patients have to come up with their own intrinsic motivation to find something that can help them overcome dependence. Sometimes this does push people further than they expected and it may get uncomfortable. However, ultimately what matters is whether the patient has the intrinsic motivators to make a lasting change. If not, everything done in recovery is only temporary, because the second the patient is unsupervised they will return to their old ways. If you go through the basic stages of the traditional twelve-step plan, you may begin to notice that they feel inflexible. Patients all undergo the same procedure and are expected to make improvements following the same steps. If the user does not improve at the expected pace or has a setback, the program is never to blame (considering many of its followers consider the 12-step program to be infallible). Blaming the patient, a person who is already feeling sad and disillusioned because of their struggles, is only going to push them even further away from recovery. Perhaps you can take a moment and imagine how jaded you would feel if someone told you that you did not put in the effort, even though you have just tried to make it through one of the most difficult things anyone could hope to do. The alternative programs rely on highly individualized treatment plans. These plans remain flexible, meaning that if the patient does not move at the pace of the program (whether this be positive or negative), the program adjusts to the needs of the patient. If something does not provide the desired results, you have to change the approach until something starts to improve. This clearly speaks to the idea that there is no one-size-fits-all approach when it comes to patients in recovery. The traditional, 12-step approach suggests that drug addiction or alcohol dependence is an incurable disease. Patients can only suppress this lifelong problem by attending meetings regularly. Perhaps this works for some, but others may feel disheartened that they are somehow always at a disadvantage, no matter how hard they try. The non-traditional programs look at the addiction to drugs or alcohol as a problem, a very serious problem. In fact, they accept and acknowledge that it is an issue that can be fatal if not addressed. However, they also suggest that it is a problem that has a solution. The solution is long-term recovery and therapy options. When compared to the 12-step approach, non 12 step drug rehab and alternative drug rehab centers throughout the nation are posting much larger success rates. Many of these programs use long-term inpatient treatments, which can last upwards of three months or even longer. In order to detoxify the body in an effective manner, these often include a holistic biophysical drug rehab as well. 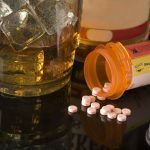 Even though the traditional method has been around the longest, there is a reason more and more patients rely on non 12 step drug rehab as the most effective drug and alcohol rehab therapy available. If you want to get to the underlying reason of what is causing addiction, you can pick up the phone right now and let New Beginnings help you with your alternative non 12 step treatment options.